The St. Regis Bora Bora Resort offers a range of distinctive restaurants reflecting the unique flavors of French Polynesia. All our restaurants use locally sourced, island-grown ingredients to create dining experiences unique to Bora Bora. Enjoy a world-class dining experience at Lagoon, our signature restaurant melding French and Asian cuisine for truly exceptional results. For a more casual dining experience, visit Bam Boo for fresh sushi and Asian favorites, or taste the bold and intricate flavors of French Polynesia at Te Pahu. Far Niente Ristorante offers Italian specialties, and light fare complemented by craft cocktails awaits at Aparima Bar. Contact our Guest Historian or Concierge for a private Candlelight Dinner featuring menus served in beautiful, secluded locations within the resort. At the Oasis Pool, private cabanas feature poolside snack deliveries, and picnics are available on the resort grounds and for takeaway on excursions. Private in-room villa dining is available 24 hours a day. The St. Regis Bora Bora Resort caters to all dietary needs, including vegetarian, vegan, celiac, gluten or lactose intolerant and kosher. Please do not hesitate to inform the resort of allergies and dietary concerns prior to your arrival. Discover the Bora Mary: watermelon adds to the creation of a delightfully refreshing cocktail at The St. Regis Bora Bora Resort. Not feeling like a sit-down dining experience tonight? No problem. At the St. Regis Bora Bora Resort we offer a full in-room dining menu available 24 hours for your convenience. Explore the bold yet delicate flavors of Asia by visiting Bam Boo Restaurant. Drawing inspiration of French Polynesia and Asian cuisine in the beautiful surroundings of Bora Bora, our Asian restaurant is a the ideal choice for a romantic evening. 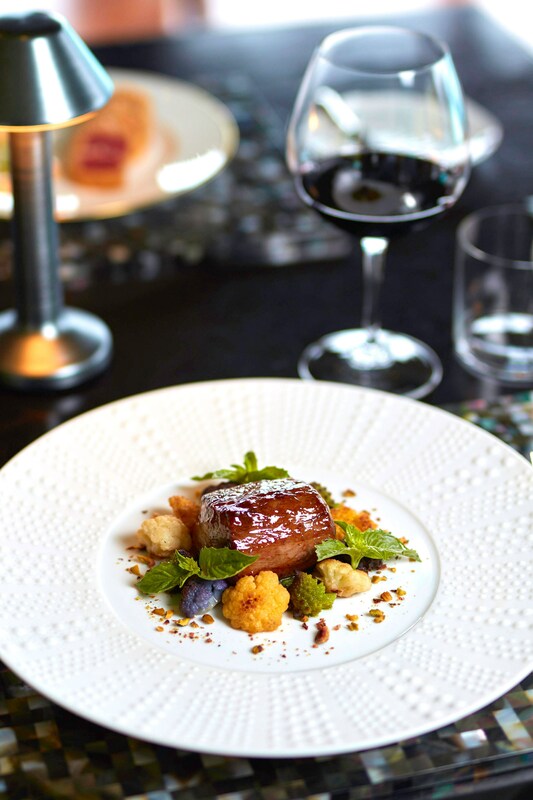 Sample the innovative menu of Lagoon Restaurant created by Chef Jean-Georges Vongerichten. Suspended over water and offering striking views of Mount Otemanu, the Asian-fusion restaurant highlights local produce, fresh catches and intricate flavors. 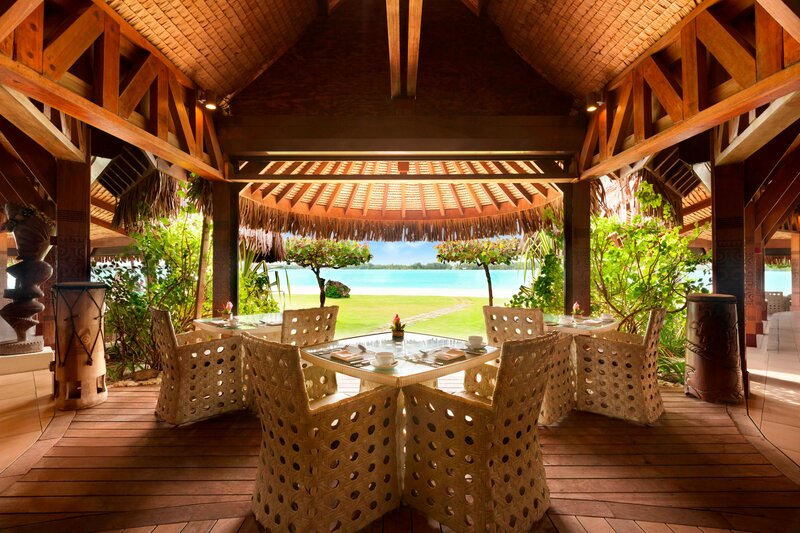 Savor the taste of Italy while vacationing in Bora Bora by visiting Far Niente Ristorante. Honoring the time-honored traditions of Italian cuisine, our Italian restaurant showcases sumptuous dishes and features a sommelier-curated wine list. 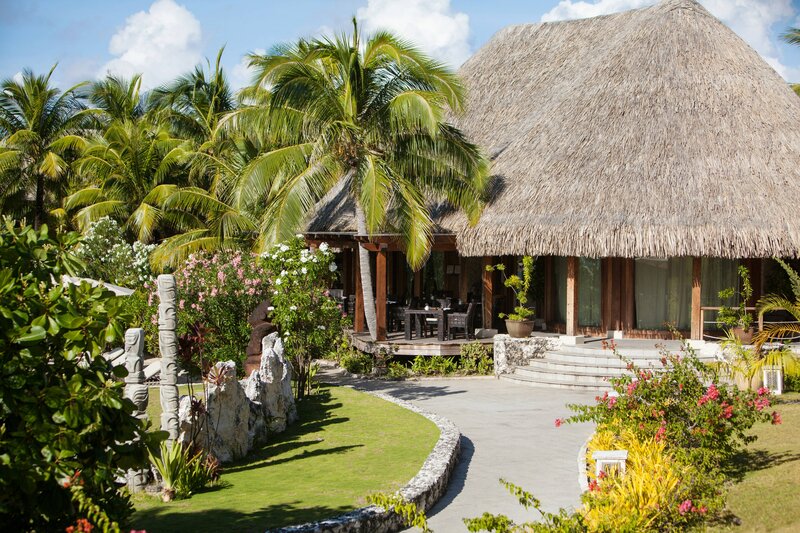 Taste the bold and intricate flavors of French Polynesia by visiting Te Pahu. A contemporary reflection of Polynesian traditions, our open-aired restaurant offers flavorful cuisine and beautiful lagoon views. Join us for our daily breakfast buffet. 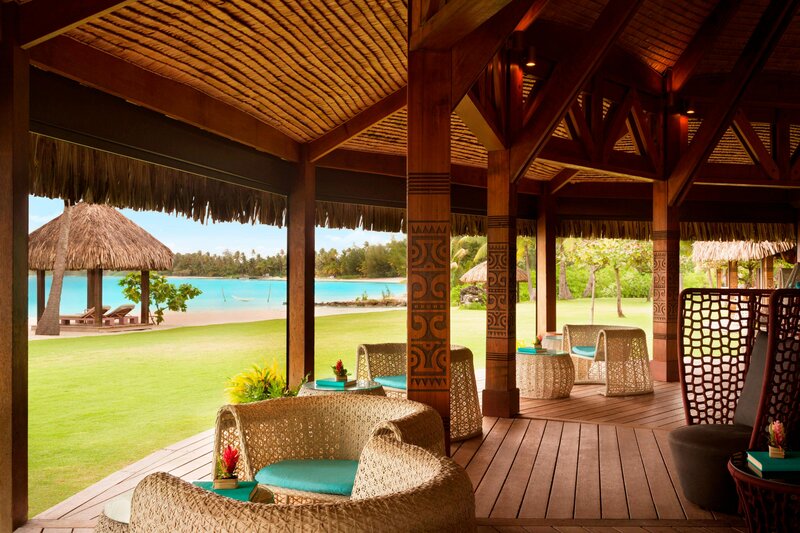 Immerse yourself in the tropical surroundings of Bora Bora by visiting Aparima Bar. Reflecting the welcoming, pleasure-pursuit atmosphere of French Polynesia, our casual yet sophisticated bar offers a menu of innovative cocktail creations, beer and wine. Discover the many dinner specialties and enjoy the gorgeous sunset. This romantic waterside restaurant beautifully combines French and Polynesian flavors. Sit back and enjoy an exquisite meal beachside at one of our many beaches. Beauty abounds at our picturesque resort. Why not enjoy the view while you enjoy a meal or cocktail in one of our many fine restaurants. Allow our excellent bartenders to mix you a delectable drink of your choice. Not sure what you want? No problem, our staff can make you an amazing drink that we know you will love.